So, in the next 10 weeks I will be eating a new piece of fruit. I will choose fruit that is exotic in The Netherlands and that I have never eaten. 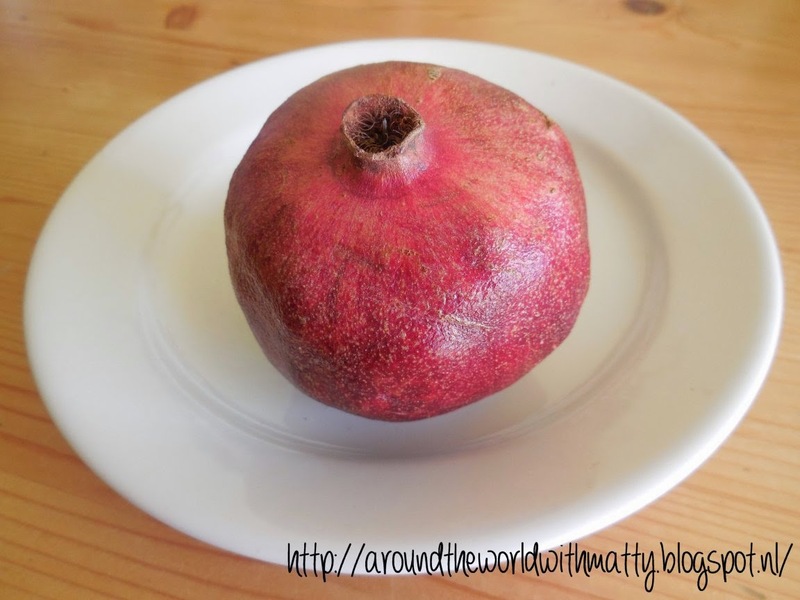 Today I'll tell you about the pomegranate. Pomegranates are origianlly from Iran (Persia). Now a days it's widely cultivated throughout the Mediteranean eara (Southern Europe, Northern Africa, Middle East) and further. 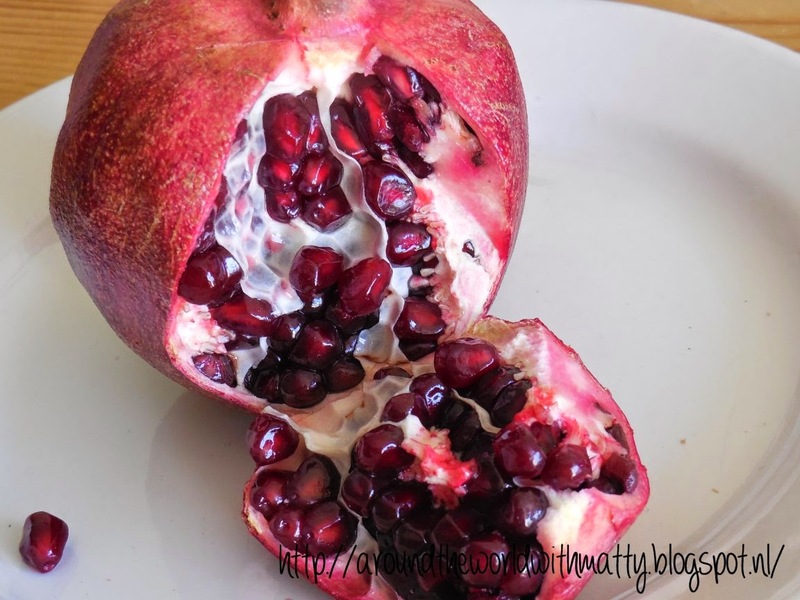 Last week when shopping groseries I walked through the fruit and vegetables corner and noticed there was only one pomegranate left. It wasn't to expencive so I placed it in my shopping basket. 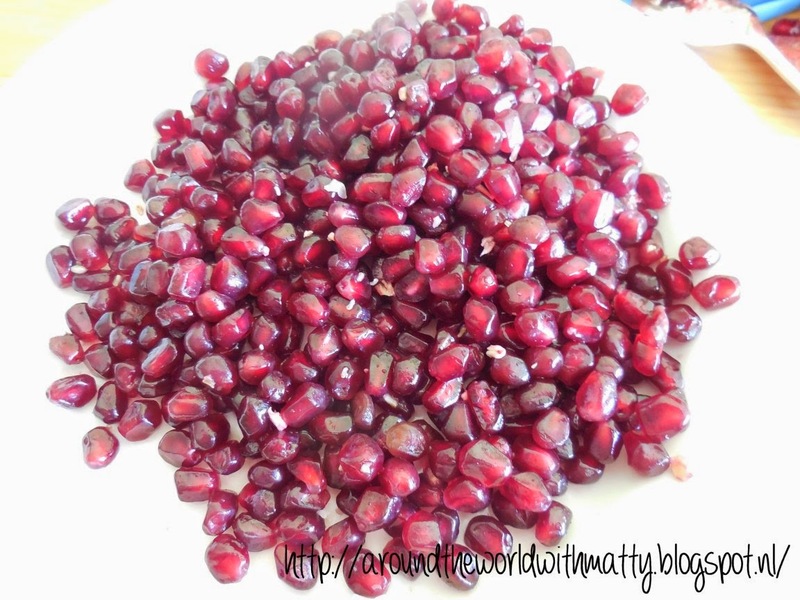 I had pomegranate once before, on a holiday in Egypt. I liked the sour taste and the little bite because of the seed in it. 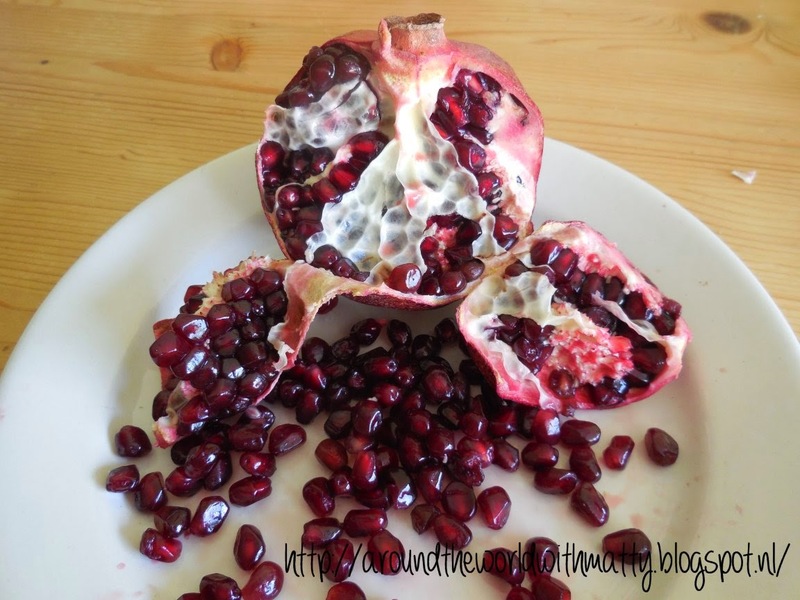 Arriving home I settled down at my table to find out how to 'open' the pomegranate. Using a small sharp knife I cut out a quarter, but only cutting through the 'skin'. Then I pulled the piece open. 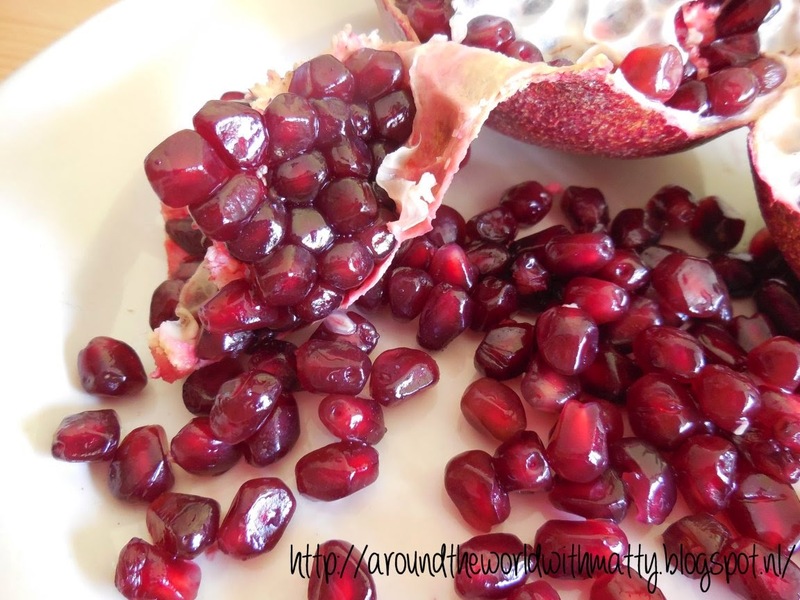 I pealed the seeds out and so I peeled the whole pomegranate. Tasting the seeds they seemed less sour than they were in my memories. I was wondering how to eat them and looked for some recipies. I found one with couscous and decited to make couscous for dinner later that day. Till then I put the seeds in the fridge. When eating the seeds with the couscous the seeds tasted like i remembered, sweet but sour and I liked it.